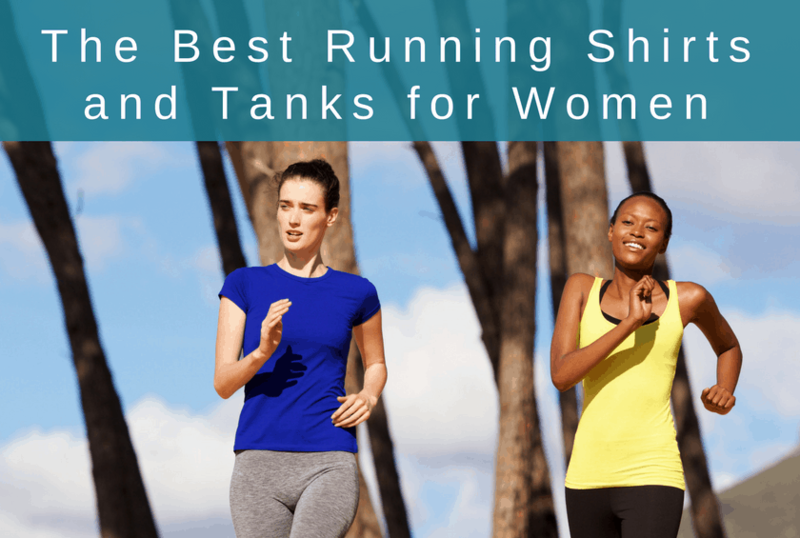 Having the best running shirts and tanks for women means you’ll always be comfortable during your runs. The best tops combine features that keep you warm or cool (depending on the weather) with slick colors and designs for style. Most women’s running tops do an excellent job of maintaining the balance between performance and design. You’ll see it clearly in our round-up of the best clothing for running. Combine these tops with a good pair of shorts or tights and you are all set for a great run! We considered a wide range of shirts and tanks for warm to cold weather. Many are versatile too so that you can use them year-round. Let’s go over your running shirt options for a variety of temperatures and weather conditions. The classic running shirt is your basic short sleeve tee. These shirts wick moisture from your skin and stay dry. They work equally well on their own in warm or hot weather as they do as a base or mid layer in winter weather. 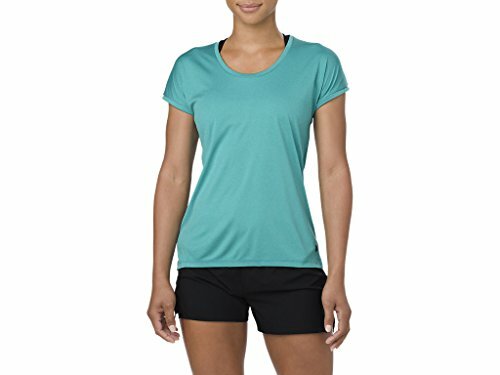 The ASICS Women’s Cap Sleeve Top is made of 100 percent polyester so that it’s lightweight and quick-drying. It has a mesh panel on the back that also helps keep it comfortable for runs on warm days. It has reflective striping with a larger scoop neckline. Reduced seams mean you won’t experiencing chafing during your run. The ASICS Women’s Crop Top strikes a nice balance between a shorter front and a longer back that is about the standard length. The shear fabric is quite breathable, making an excellent option for summer runs. The Brooks Stealth Short Sleeve is a fitted shirt with a rounded bottom edge. The overall look is quite attractive. It’s a lightweight shirt that may appear quite thin and see-through especially in the white version. Drilayer fabric ensures the shirt dries quickly. Even though it’s fitted, the Stealth short sleeve allows tons of freedom of movement. One of the most popular women’s running tops, tanks are great for warm weather or for wearing the gym. They offer a sleek look with enough function to make it practical for daily runs or races. 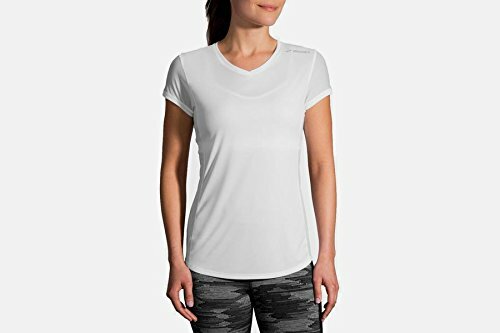 The ASICS Women’s Loose Tank is a polyester blend with the semi-synthetic viscose that improves its breathability and gives it a more luxurious feel. It has a relaxed fit that drapes well on your body. The tank has a mesh panel in the back for extra ventilation. 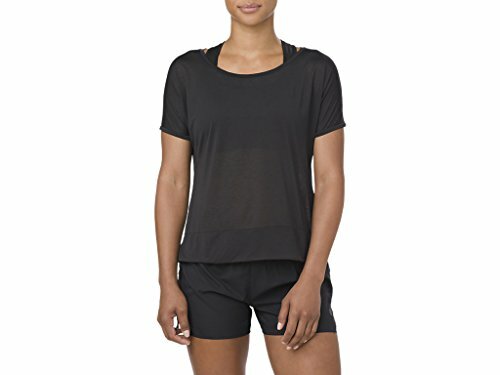 The Brooks Women’s Ghost Racerback shirt is a unique blend of nylon, polyester and spandex. That gives it the durability to stand up to heavy use while allowing freedom of movement. The narrower straps and scoop neck give it a classy appearance. 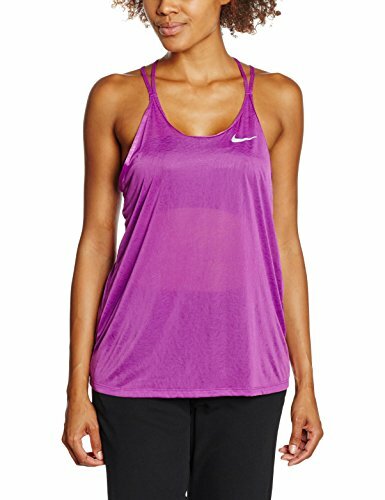 The Nike Women’s Dri-Fit Cool Breeze Strappy Running Tank Top is shirt that definitely has a certain buyer in mind. It has a scoop neckline with sheer panels for extra breathability. There’s no mistaking its stylish look that some may prefer to wear going out rather than running. 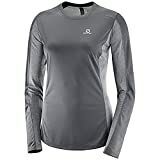 Like their short sleeve cousins, long sleeve running shirts work well on their own or as a base layer in cold weather. The sleeves add just enough warmth to keep you going on cool days during spring and fall. The Brooks Women’s Distance Long Sleeve is a blend of polyester and cotton which makes warmer while still keeping it lightweight. It’s semi-fitted so that it’s roomy enough to give you a good range of motion. It’s odor-resistant with underarm panels for better airflow. 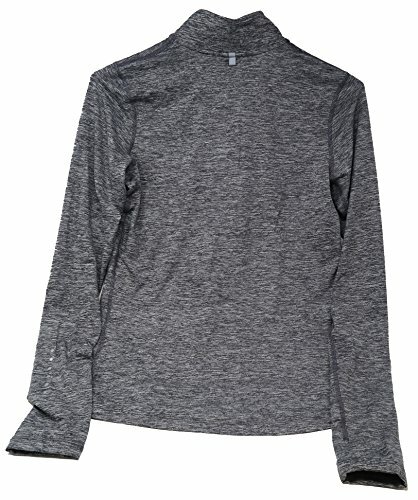 The Nike Women’s Long Sleeve Legend Shirt is a nice-looking, 100 percent polyester shirt. The fit is on the tight side, but the profile is sleek. The material is on the thin side and does cling a bit. That said, it’s still something that you can wear year-round. 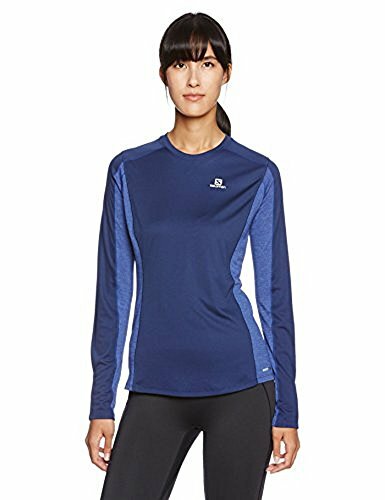 The Salomon Women’s Agile Long Sleeve Tee comes in eight colors that include detailing in a lighter shade along the sleeves and sides which is quite slimming. The fit is contoured and the reflective stripes are a nice added feature. Mesh paneling under the arms ensures you stay ventilated during our run. Half zips are ideally for cool or cold runs. The zipper allows you to easily regulate your temperature, ensuring you never get too hot or too cold. 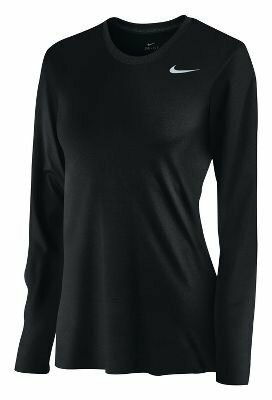 The Nike Women’s Element Half Zip Running Top is a blend of polyester and spandex that allows for plenty of movement yet hugs your body. The zipper closes to your neck in a fit that isn’t tight. It has thumb hole openings to keep your hands warm too. 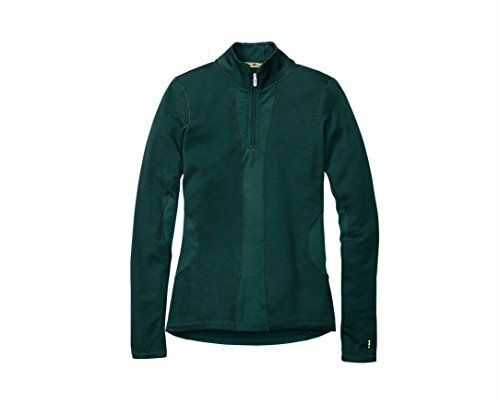 The Smartwool Women’s PhD Light 1/4 Zip is a blend of merino and polyester that strikes a nice balance between warmth and breathability. Like the previous half zip, this shirt includes thumb hole openings. It has a mock turtleneck style that feels comfortable and soft against your skin. 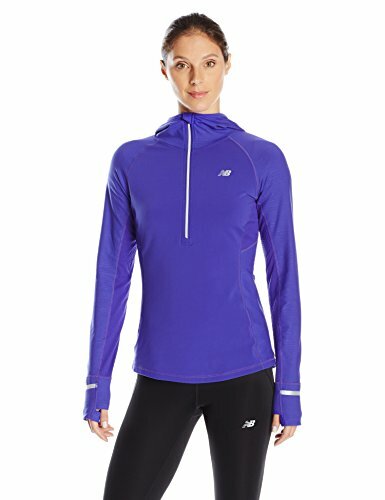 The New Balance Women’s Heat Half Zip Jacket is another polyester blend shirt that fits well and hugs your curves. It features a scuba-type hood and thumbhole openings to stay warm on chilly days. It also has a zippered pocket for your phone and keys.